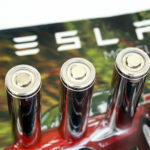 After Tesla recently discontinued the 75 kWh versions of Models S and X, some speculated that it was a precursor to replacing the battery pack used in those models with a redesigned pack based on the newer 2170 cells used in Model 3. However, that doesn’t seem to be in the cards for the moment – instead, the California carmaker has revised its lineup of S and X variants, reintroducing the option to buy a battery pack with software-limited range and unbundling Ludicrous Mode from the Performance variant. The news isn’t as momentous as a battery update would have been (although we’re pretty sure that will happen eventually), but as Electrek pointed out, it’s a good business move. It allows Tesla to streamline production by building only a single (100 kWh) battery pack for Models S and X, and also lets it offer a lower price to buyers who don’t feel the need to have the ultimate in range and performance. I seriously don’t get it. How hard can it be to make two — or more! — versions of the battery pack with precisely the same external case and connectors, but a different number of 2170 cells..? It should be simple. And it’s not like it’s difficult to keep track of what’s what, to use the correct pack in the correct vehicle on the assembly line. So I don’t think this, like you say, allows Tesla to “streamline the production” in any meaningful way. Certainly not when you consider that the cost of cells for 25 kWh that aren’t going to be used is perhaps $2500 per vehicle. That’s a huge bite into the gross margin (20% gross margin means a $10 000 gross margin on a $50k car), and it barely simplifies the logistics (get the correct type of battery pack to each vehicle on the assembly line at the right moment — a kind of problem Toyota solved to perfection in the 80s with much higher complexity, making multiple different cars on the same assembly line). I could be totally wrong, I’m no expert. Just thinking aloud here, really. But to my mind it seems if this streamlines anything, it’s deliveries. No longer do you need to know exactly how many cars with each battery pack size is to be delivered in each of a few thousand towns. If you are going to have any inventory, being able to select the pack size after manufacture is a simplification. Of course you still need to deal with colors and equipment levels, but perhaps buyers don’t care as much about that as they do an expensive option like a bigger battery pack..? It is interesting to see how different Tesla is to someone like BMW tho. BMW have endless options lists and make the car to order, seemingly convinced that increases their profits. Maybe the customisation isn’t just expensive for the end buyer, but makes the entire operation (manufacture and delivery) inefficient and expensive..?